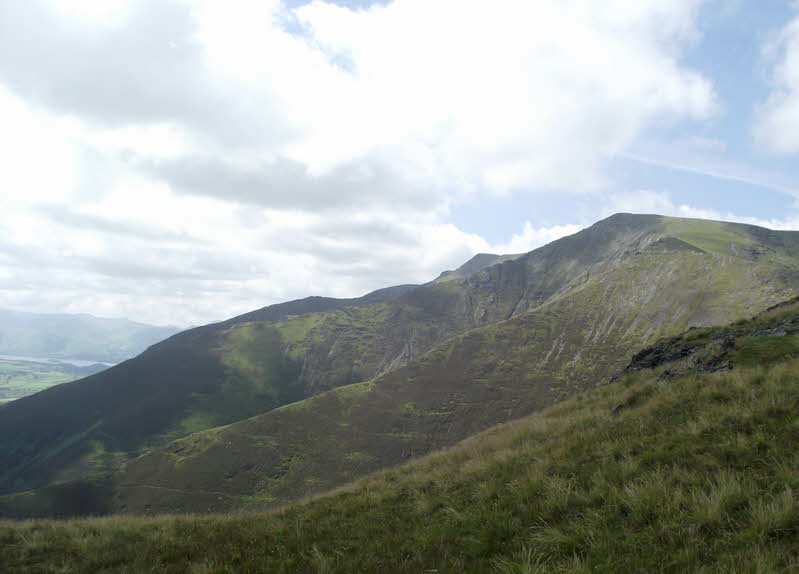 A view of the southern ridges of Blencathra. Scales Fell forms the foreground, Doddick Fell is next, with a light line marking the top. Third is Halls Fell, seen in sunlight near the skyline. Finally the skyline is formed by Gategill Fell, just seen as a dark like above Halls Fell.